So far in this book, we’ve talked about product and values. Next is mission. 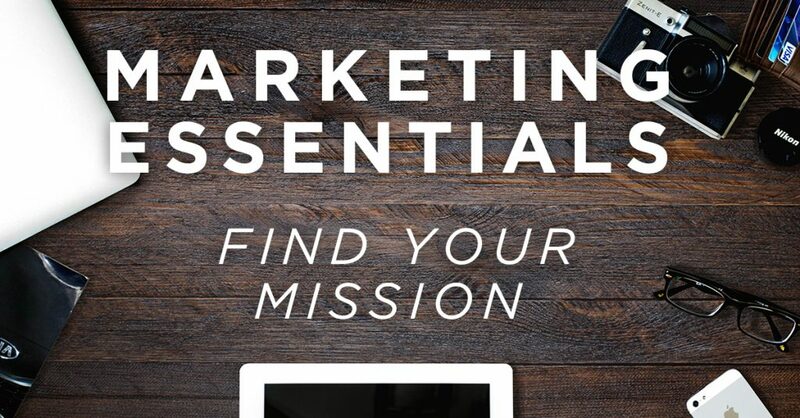 Why is finding your mission as a business so important? Once you’ve decided on your product and honed in your primary values, your mission will guide what you do with your product and values. Your mission will help you make the major business decisions you face along your journey towards success. Mission also tells your customers in a clear and concise way what you do and who you are. Defining your mission will help make decisions down the road. Later on, you’ll face many opportunities, and you need to ask yourself, do I want to do that? A great way to simplify business decisions at forks in the road is to decide based upon your mission. Then when opportunities don’t fit your mission statement, you simply don’t do it. While the day may come when you redefine your mission statement, stick to what you decide to avoid mission drift. Decide on a mission statement that is no more than two or three sentences. It needs to be the following. You don’t want to have a paragraph, just a sentence or two. How to craft your mission statement? Brainstorm options and write them down. Pick your top options as “drafts”. Share the same draft copies with others those who know what you’re trying to do to get their feedback. Refine your mission until you’re satisfied with it. A mission statement is 2-3 sentences. Slogan is 7 words or less. We will talk about your slogan—an outward facing statement—later in this book https://docs.google.com/forms/d/e/1FAIpQLSf_b3-0z9iL9xdqoqQ9fxSM8nCxy73LTZNWHKqJegt_BqusZQ/viewform, but for now, get your internal mission down first. This will pay its dividends later. Not everyone is going to know or memorize your mission statement—and that’s okay!—but as you will see everyone should be able to recognize your slogan. Next is your vision, without which your mission will never take you, your products, and your values anywhere! Stay tuned for the next blog.